Building on the success of the Fideme (2002) and Eurofideme 2 (2008)(1) funds, Mirova created Mirova Eurofideme 3 to offer European institutional investors access to project-companies that are developing renewable energy assets across Europe (mainly in the wind and photovoltaic space). 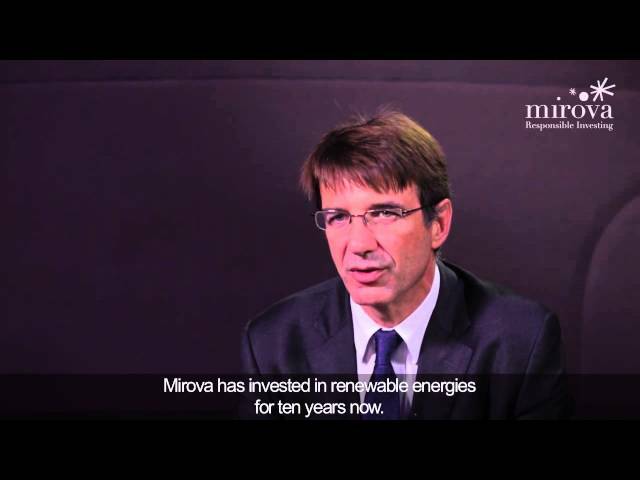 Mirova has over 10 years’ experience investing in renewable energy projects and is one of the first European asset managers to launch a 3rd fund on this particular expertise. Mirova draws on a team of dedicated experts who manage a portfolio of high quality and diversified investments in France and in Europe. During the past 10 years, Mirova’s Renewable Energy team has invested in 66 projects (including 31 wind farms) and has supported the construction of production facilities generating 700 megawatts of clean energy(2). Energy transition and the fight against climate change have fostered a particularly favourable environment for investment in renewable energy. Europe leads the global renewable energy market, which is further buoyed by public policies that are driving the growth of the industry. According to the targets set by European Union in 2008, by 2020 20% of our final energy consumption should be generated from renewable sources. The European commission pushed the boat even further, suggesting that 27% of total energy be renewable by 2030. In 2013, on a global scale, investment in assets producing renewable energy reached $149.2 billion(3) and for the first time in Europe, more electricity was produced from renewable sources than from coal or nuclear facilities(4). (1) Fideme is a FCPI fund with €46 million under management. Eurofideme 2 is a FCPI fund with €94 million under management.